Other than Wood River Wetlands, I haven’t spent much time in the Klamath Falls Wetlands areas, but I plan on it very soon! Anyway, I thought YOU should know more about these areas as the bird photographs I have seen from there are amazing. 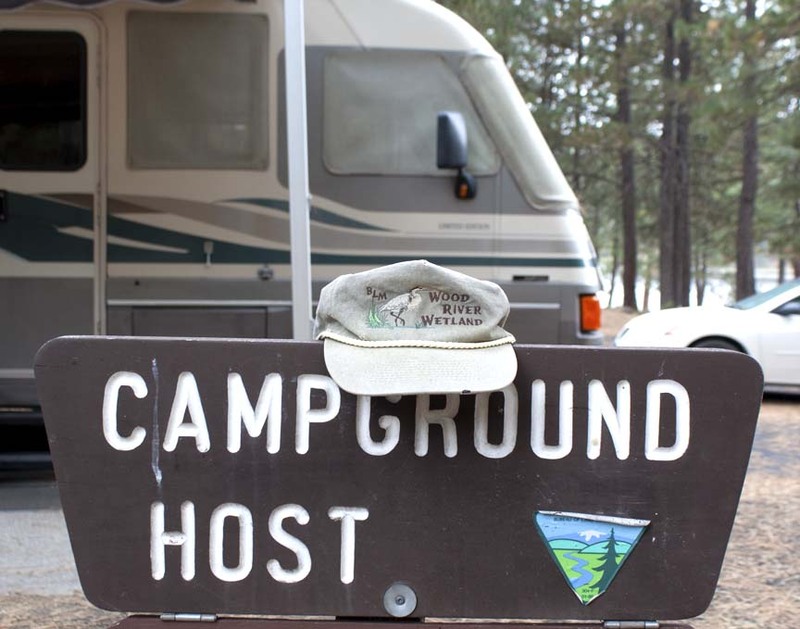 is located forty five miles North of Klamath Falls and six miles East of Highway 97 on Silver Lake Road. Klamath Marsh National Wildlife Refuge has a large population of nesting Greater Sandhill Cranes as well as, Bufflehead, Ruddy, and Ring-necked Ducks, Cinnamon Teal, Bald Eagle (nesting), Rough-legged Hawk, Sora, Virginia Rail, Black Tern, Yellow Rail (nocturnal), White-headed Woodpecker, Great Gray Owl, Lewis's Woodpecker, Pigmy Nuthatch, Black-headed Grosbeak, Western Tanager, Mountain Bluebird, and Mountain Chickadee. Silver Lake Rd runs four miles crossing the marsh but there are also side roads, where you can also view both the Marsh and the adjacent habitats. Forest Service Road 690, which goes along the west edge of Wocus Bay, is great place for viewing. 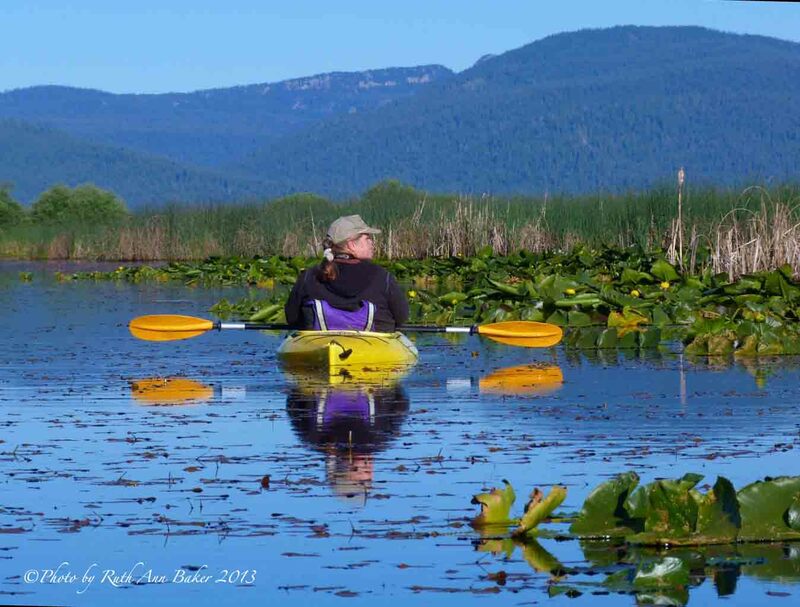 A few of the Klamath Falls Wetlands require some kind of boat for access, from what I have read, you MUST HAVE a boat of some kind (this is me in a kayak) to explore this one. Birds you can find include, American White Pelican, Great Egret, Red-necked Grebe, Wood Duck, Black Tern, Forster's Tern, Osprey (nesting), Bald Eagle (nesting), Blue and Ruffed Grouse, Yellow Rail, (nocturnal), Belted Kingfisher, Red-breasted Sapsucker, Pileated Woodpecker, Western Wood-Pewee, Olive-sided Flycatcher, Steller's Jay, Chestnut-backed Chickadee, Hermit Warbler, Nashville Warbler, MacGillivray's Warbler, Hermit Thrush, Common Yellowthroat, Western Tanager and Black-headed Grosbeak. GPS: 122° 4' 54.47" W, 42° 29' 27.59" N (Malone Springs). Since this one opens for people on foot Nov 1st, this might be my first real Klamath Falls Wetlands adventure on foot! I am planning a field trip with some friends. Bear Valley National Wildlife Refuge was established in 1978 to protect a major night roost site for wintering bald eagles in Southern Oregon. Bear Valley National Wildlife Refuge also serves as a nesting habitat for several bald eagle pairs. To reduce disturbance to the nesting birds it is closed to all public entry except for walk-in deer hunting before November 1. It is made up of 4,200 acres, of mostly old growth ponderosa pine, incense cedar, and white and Douglas fir. With their wide open branch patterns these mature stands of trees allow easy eagle access and can hold a lot of birds. As many as 300 bald eagles have used the roost in a single night. It’s location on the northeast slope shelters the raptors from the harsh and prevailing winter winds. To get to the viewing area from Klamath Falls, go south on Highway 97 to Worden, Oregon. Turn west onto the Keno-Worden Road just south of Worden. After the railroad crossing, turn left onto the dirt road. Stay on this dirt road for a half mile and park along the shoulder. The Wood River Wetlands come off of the Wood River, a short river in southern Oregon. Since 1996 the BLM and partners have restored over 3,000 acres of wetland and two miles of Wood River channel. 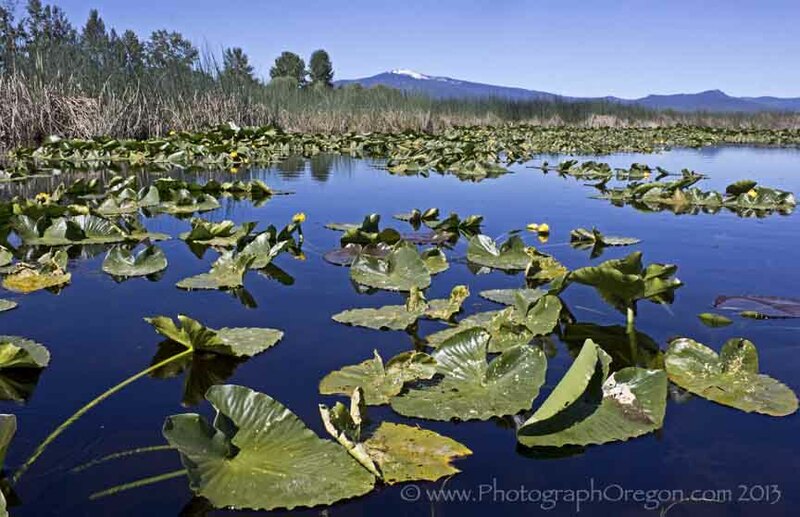 The wetland is located along Agency Lake on the northeastern end of Klamath Lake. I have a particular love for the Klamath Falls Wetlands as my grandpa loved it here. He was a camp ground host nearby. At the Wood River Wetlands opening they gave away special hats and he got one. He wore it the rest of his days. Now I have it. I'm wearing it in the kayak photo. 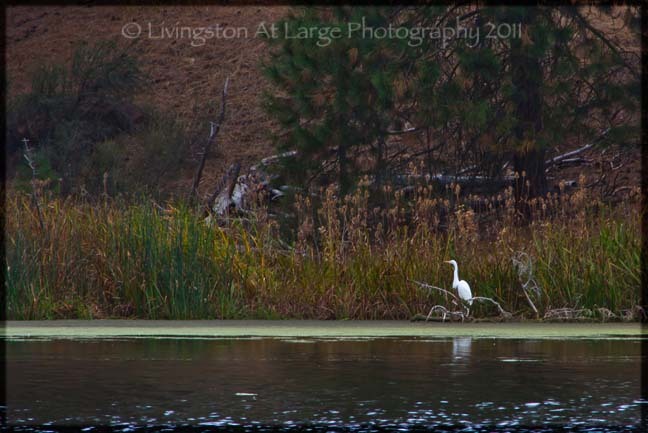 There are so many wonderful birds and landscapes here. I love kayaking around and spending a peaceful day. We ususally stop at Train Mountain on the way! 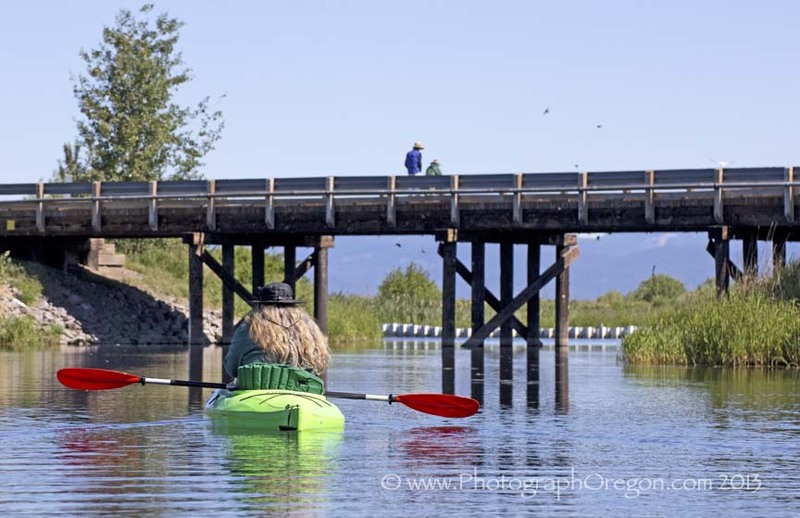 There is paved parking, a trail, a canoe launch, picnic areas and benches, toilets, and interpretive signs. Some of the trail is paved as well. They do not generally allow motorized vehicles but you can apply to the local Bureau of Land Management office in Klamath Falls for a pass if you are disabled and have a motorized wheel chair or scooter. As far as birds go, this area is home to: nesting ducks, shorebirds, and migratory songbirds. 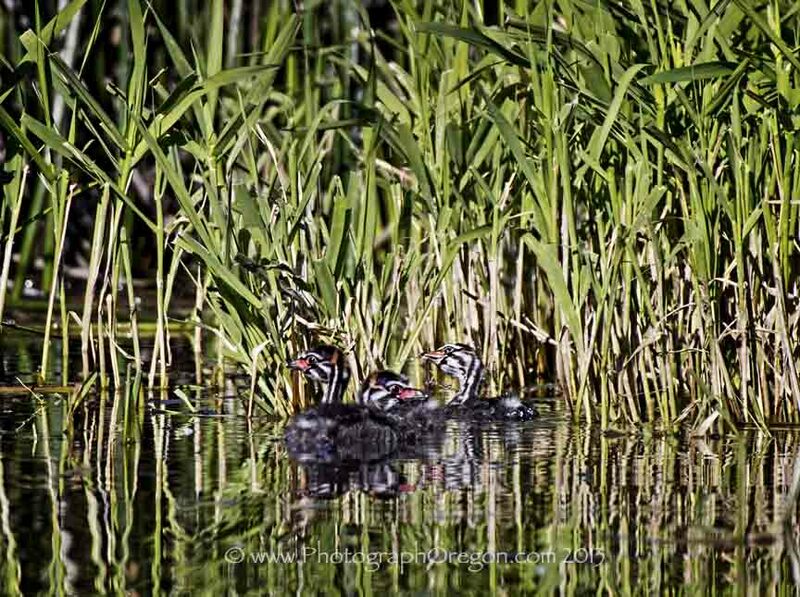 These include wood ducks, mallards, cinnamon teal, Canadian geese, mergansers, American coots, common snipes, mourning doves, killdeer, great egrets, meadowlarks, and yellow warblers, as well as nesting populations of bald eagles, ospreys, and northern harriers. 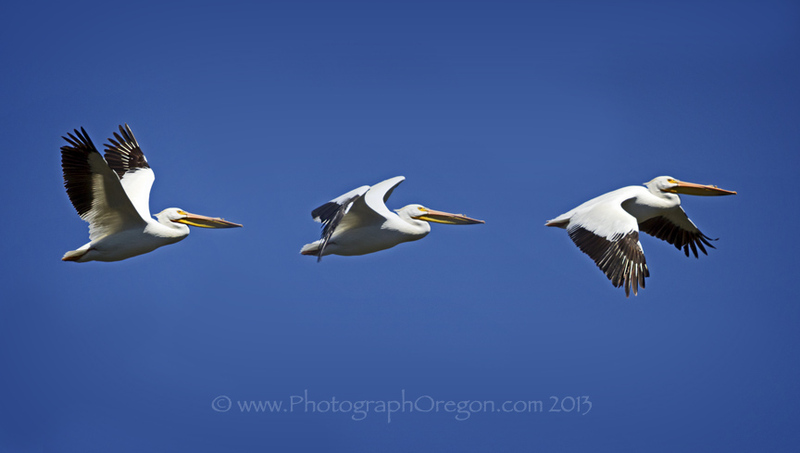 If you are in a boat, you can get very close to the white pelicans. There are also many great things to see on foot. If you boat under the bridge, which I do advise, you will get pooped on by swallows. 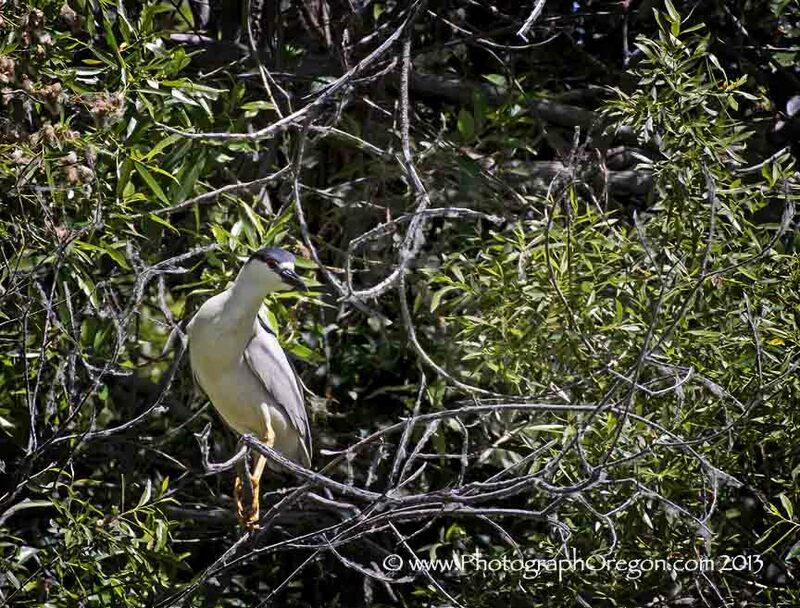 There are quite a few water bird blinds and raptor blinds in the Klamath Falls Wetlands, both in the Oregon and California locations that can be reserved. 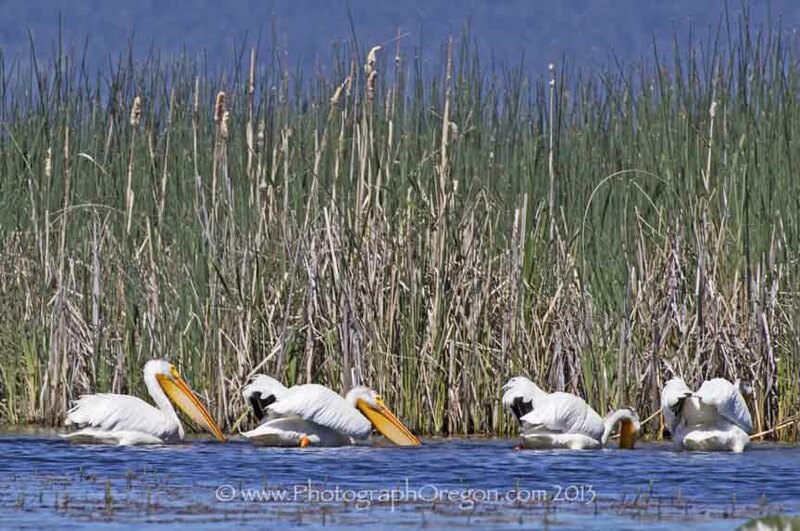 For more great not so governmental information on the Klamath Falls Wetlands check out the Wingwatchers site.